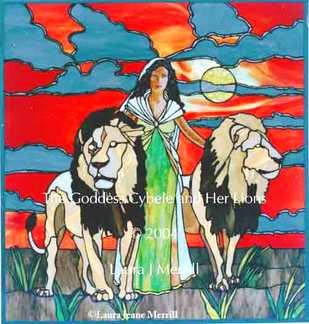 The Goddess Cybele and her Lions. There is no lettering on the original art work. 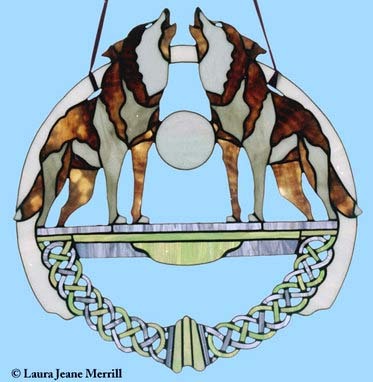 Laura J. Merrill spent twenty-two years designing and creating work in stained glass – both large works and smaller suncatchers, mandalas, and boxes. 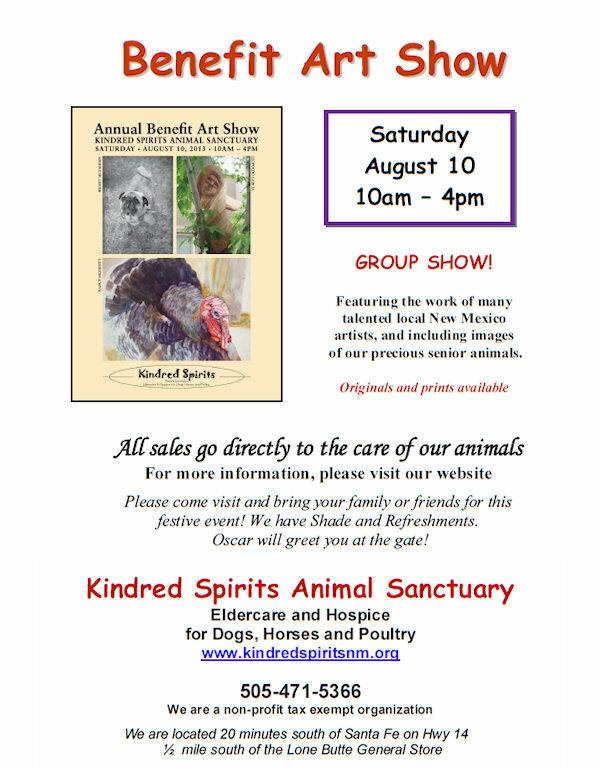 The animals and mythical figures invoke magical and spiritual levels beyond. Most of the stained glass work has been sold over the years, but a few remain. When they are all gone, there will be no more. Laura is now writing a series of books about trees, Secret Voices from the Forest. To see more of Laura’s beautiful artwork, click here. To learn more about or purchase Volume One of Secret Voices from the Forest, click here. The Egyptian Society of Animal Friends (ESAF) has been providing ongoing vet care and feeding to the Pyramids horses – an earlier photo. Yesterday, August 14, violent action took place to clear protests in the streets of Cairo. The Giza Zoo is located right in the area where the crackdown occurred. The very sad toll of human deaths and injuries on both sides was huge. It appears that, at least for the moment, all the zoo animals are alive and uninjured. 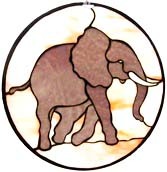 Vier Photen, the international organization based in Austria that does so much to help animals in disasters, in many countries, has responded generously to a request from The Egyptian Society of Animal Friends (ESAF) to provide help to the Giza Zoo, which is having great trouble feeding and caring for the zoo animals. Because of the unrest, there are no visitors to the zoo and therefore no income with which to feed the animals. Dina Zulficar, a dynamic animal advocate in Cairo who has aided the Giza Zoo animals for many years (with education, activism, organizing support for them, and enriching their habitats), has provided ongoing reports on the plight of the zoo animals. The Zoo is located right in the area where the protests have been taking place, and there has been a great fear that the animals would be injured or killed by the tear gas and the fighting. During the violent crackdown by the army on the protestors, it looked for a time as if the worst fears were materializing. Animals in a zoo have no way to escape tear gas or gunfire. They are trapped. The lungs of birds are especially susceptible to impurities of any kind in the air, and of course, this includes tear gas and smoke. Thanks in large measure to the bravery and dedication of Dr. Fatma Tammam, Central Zoo Director, and her staff, who went early in the morning to feed all the zoo animals and birds and who have been overseeing the welfare of the animals, at the moment, the animals appear to be safe. During the crackdown on Wednesday, there was a fire in a palm tree and another tree, but it was contained. Police and 15 protestors battled outside the walls of the zoo. At the time of Dr. Tamman’s most recent report, relayed by Dina Zulficar, all the Giza Zoo animals were alive and none were injured, which is remarkable. Dr. Tamman extended her thanks to all those who expressed their concern for the zoo animals. The road to the zoo has now been re-opened. 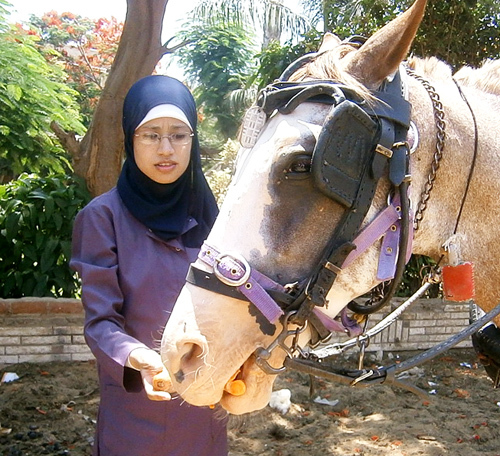 Since the very beginning of the unrest in Egypt two years ago ESAF, the Egyptian Society for Animal Friends, has been providing regular assistance to the horses, donkeys, and camels at the Pyramids. These animals in normal times are used to carry tourists, and even in the best of times, their lives are not easy. During times of civil unrest, their owners have no income because there are no tourists, and they have no means to feed the animals or provide vet care for them. ESAF, working with other organizations, both international and Egyptian, has faithfully provided help to these animals – feed and regular vet care. On August 9, before yesterday’s crackdown, Ahmed El Sherbiny, Chairperson of ESAF, reported on their recent work with the animals. The ESAF team spent four days at Nazlet El Samman, giving vet care and feeding to 526 animals. Then on Wednesday, August 7, at Kafr El Gabal, the neighborhood near the Pyramids where the camel owners live and where they camels are kept, they spent one day feeding and treating 94 horses and camels. The camel feeding and vet care was sponsored by Janet Thomas of Animal Aid Abroad (AAA). During this past month, ESAF has given food and vet care to 1,857 horses and donkeys, as well as 94 camels. Ahmed El Sherbiny expressed his heartfelt thanks to SPANA (Society for the Protection of Animals Abroad), AAA, HSI (Humane Society International), Wereld Asielen, and Sue Evans and her UK group. There are a number of excellent animal welfare groups in Egypt, all of whom are doing their best to help animals at this very difficult time. Thanks to these kind and heroic efforts, Egyptian animals are being saved and helped. However, the circumstances are immensely trying and the future is uncertain. Our thoughts and prayers are with all the people and animals of Egypt. Photo: Courtesy of ESAF, this was taken during an earlier program for the Pyramids animals in 2012. With Humane Society International (HSI) spearheading the campaign Be Cruelty Free, many groups and individuals joined the effort to ban cosmetics testing on animals, including Maneka Gandhi, Blue Cross of India, the C.P.R. Environmental Education Centre (CPREEC), and a host of others, including celebrities and politicians. On May 3, 2012, a human-sized mouse, holding a pink heart with the words, “Ban Cosmetic Testing on Animals” met, as part of a delegation of animal protection groups, with Minister Jayanthi Natarajan, Ministry of Environment and Forests, to thank the minister for making India the first country in the world to ban the use of research on live animals in education and to ask her support for the cosmetics testing ban. Dr. Chinny Krishna, member of the CPCSEA, wrote a letter, on behalf of HSI, CPREEC, and Blue Cross, to three ministries, including the Bureau of Indian Standards, which falls under the Ministry of Consumer Affairs, presenting the case against animal cosmetics testing on the grounds that it is both cruel and entirely unnecessary. Many thousands of people signed petitions and wrote letters to both the Bureau of Indian Standards and to the Drug Controller of India. Ms. Alokparna Sengupta, the HSI Campaign Manager for Be Cruelty Free, also served as a member of the Bureau of Indian Standards. In November of 2012, HSI, CPREEC, and Blue Cross held a conference in Chennai, where Wayne Pacelle, CEO of the Humane Society of the United States (HSUS), spoke out passionately against cosmetics testing on animals. In the early weeks of December, on behalf of HSI, Dr. Chinny Krishna, drafted a suggested amendment to the Drugs and Cosmetics Act, for a meeting that Maneka Gandhi was about to have with the Drug Controller General of India. During December, the initiative to ban cosmetics testing picked up significant parliamentarian support. Legislators Ms. Debasree Roy, a well-known actress from West Bengal, and Shri Ramalinga Reddy, from Karnataka, wrote letters to the relevant ministries in support of the ban. In January, a press conference was held in Kolkata, hosted jointly by HSI and the Animal Welfare Board of India (AWBI). Ms. Debasree Roy, attired as a white rabbit, spoke eloquently on the need to spare animals from any further suffering in cosmetics testing. In the spring of 2013, at least ten elected representatives took part in HSI’s Be Cruelty Free campaign. MP Baijayant ‘Jay’ Panda, from Odisha, called for the end of cosmetics testing on animals as soon as possible, lending his support to the use of alternative testing methods, now readily available, which are both cheap and effective. MP Suresh Kumar Shetkar, from Andhra Pradesh, made a similar appeal for the ending of archaic cosmetics testing on animals. At the beginning of the year, Israel had banned the import of cosmetics tested on animals, following an earlier ban on conducting such testing within Israel. In March, the EU followed suit with a similar ban, having also earlier banned cosmetics testing on animals within the EU. Throughout 2012, HSI conducted a sustained, dynamic, global campaign with initiatives in the U.S., Brazil, Australia, South Korea, and other countries. On June 28, 2013, the Bureau of Indian Standards modified the rules of the Drug Control Act, eliminating animal testing for cosmetics and requiring non-animal testing instead. At last, the use of animals in India for cosmetics testing was banned. The wording of the ban was supported by Dr. Chinny Krishna, member of CPCSEA, Mrs. Norma Alvarez, Chairperson of the Federation of Indian Animal Protection Organisations (FIAPO) and member of CPCSEA, and by leading Indian toxicology scientists and many Indian citizens. In her role as HSI Campaign Manager, Ms. Alokparna Sengupta had provided the driving force behind the successful campaign. With this major milestone, many thousands of animals have been spared suffering, mostly small animals; rabbits, mice, and guinea pigs. Up until this time, companies had still been conducting testing. In many cases, these were unnecessary, repetitive experiments, re-testing ingredients that had already been tested previously, for the sole purpose of being sure that companies could not be held liable in law suits. Now this kind of testing can no longer be done in India. It is still possible to buy cosmetic products in India that have been tested on animals in other countries, but this ban is a huge leap forward in the struggle to ban all animal testing in India. Like so many of India’s very enlightened animal laws, this establishes a model for the rest of the world to follow. Thanks to all who played a role in this groundbreaking legislation. May the time soon come when no animals anywhere will be used in laboratories. Attribution: Larry D. Moore / This file is licensed under the Creative Commons Attribution-Share Alike 3.0 Unported license. 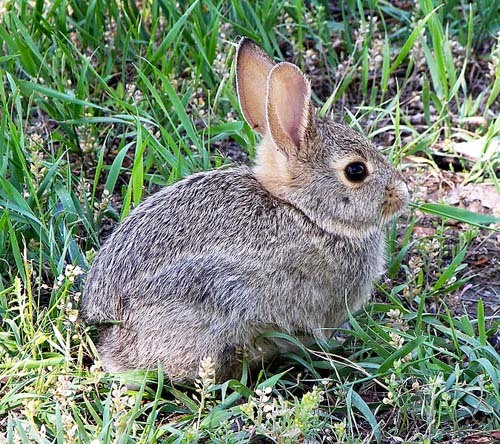 / Wikimedia Commons / A cottontail in the wild in Montana. 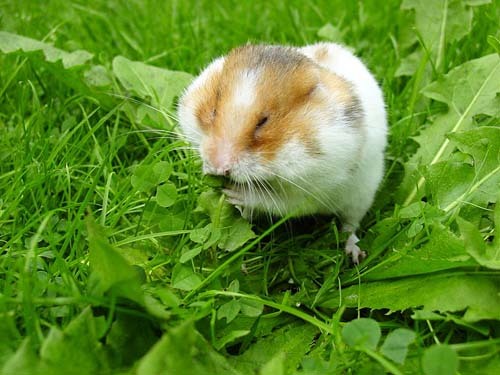 Author: Peter Maas / / “This file is licensed under the Creative Commons Attribution-Share Alike 2.5 Generic license.” / Wikimedia Commons / A Syrian hamster filling his cheek pouches with Dandelion leaves. 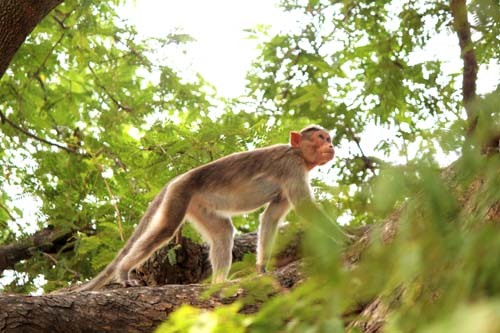 A macaque at Pavapatthu sacred grove, not one of the Blue Cross monkeys. Seven monkeys run and play together in the sun, in a large, open grass-covered area. They come and go freely indoors and out, where they’ve been for several years, at the Kunnam Center of Blue Cross of India, in the Kanchipuram district, Tamil Nadu. Their lives weren’t always so happy. The monkeys at Blue Cross came from laboratories, where they were used for experiments. Companies that do testing on animals gloss over the reality of the life and death of the animals. Usually they avoid mentioning animal testing altogether. Occasionally, on a TV show, an apparently happy animal may be shown, in lovely, sanitized surroundings, with seemingly caring people who are neatly dressed in white coats. Who could object, when a well-fed mouse is shown obviously enjoying life in his clear plastic cage? The reality though is radically different, and, should you be in any doubt about this, you can read about the use of animals in laboratories on any number of websites which will give you the graphic details. The circumstances in which lab animals live and die are terrible. In the end, they are, with rare exceptions, killed, so that the test results can be compiled into statistics. The principle of laboratory testing on animals is to cause injury or sickness to the animal, so that possible cures or drugs can be tested. When the testing is done for product safety, to prove that a product is “safe” for humans, the animal is given enough of the product to cause harm and injury to the animal – this is meant to indicate the level of safety of the product. Suffering for the animals is inherent in the basic principles and practice of animal testing. The only way around causing suffering to lab animals is not to use animals in laboratories. Five of the Blue Cross monkeys arrived, in a group with seven others who have since died, from the Christian Medical College and Hospital at Vellore, a city west of Chennai. There they had been used to study spinal injuries. First they were injured, then they were studied. Two of the monkeys there are survivors of a group of five that came from A.L. Institute of Medical Sciences at the University of Madras, where they had been used to study chemical burns. Again, the burns were first inflicted on the animals, then they were studied. In all lab experiments, suffering and injury are first inflicted on the animals, to cause the condition that is to be researched, then they are studied. 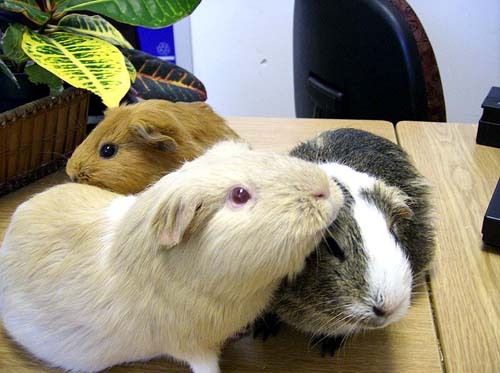 Three guinea pigs in captivity. Even if no injuries were ever caused to them, the use of animals in laboratories would still be cruel. In the case of these monkeys, they were captured as youngsters in the wild; the mere fact of removing an animal from the wild and putting him or her into a small cage causes intense suffering to any wild creature. As for those who are bred in captivity, they have never even known a life of freedom in nature. The monkeys at Blue Cross were not used in cosmetics testing; however, many animals are, and it’s important to be aware that testing for cosmetics is no kinder than any other form of animal testing. No, the animals do not simply put on a bit of lipstick or some mascara, and then gaze at themselves in the mirror. Because the tests are meant to measure toxicity, they cause painful injury and death. That is the grim reality. 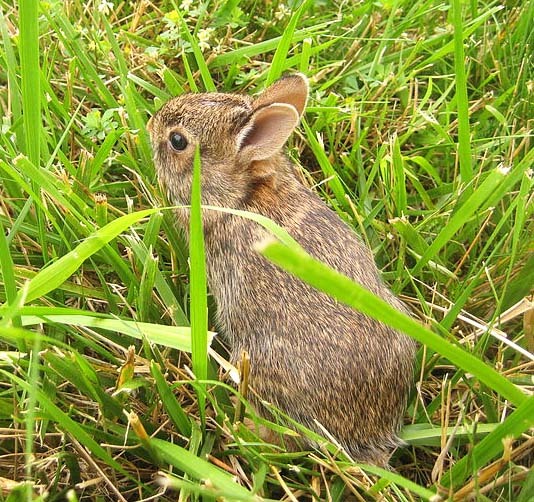 A baby rabbit in the wild. In June, 2013, a major victory was won in India, with the banning of the use of lab animals for cosmetics testing. No more animals can be used in labs in India to test cosmetics or the ingredients in cosmetics. The ban will save many thousands of animals from suffering. On April 20, 2012, Humane Society International launched its Be-Cruelty Free campaign with the aim of bringing a worldwide halt to the testing of cosmetics on animals. The banning of animal cosmetics testing in India a year later is a resounding victory for the animals. The tireless work that led up to this victory goes back fifty years. In 1965, Blue Cross held a seminar, Animals in Research, in which they called for a ban to be imposed on all use of animals for cosmetics testing. 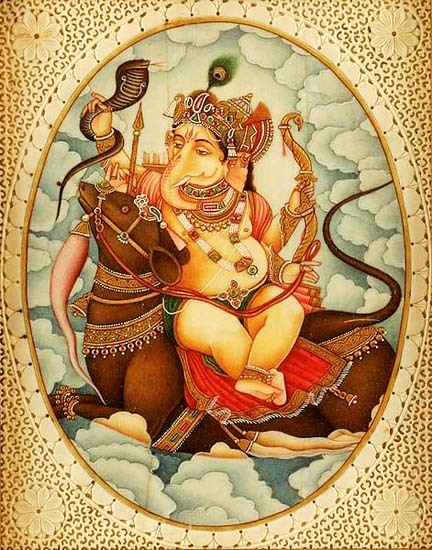 In 1996, the Committee for the Purpose of Control and Supervision on Experiments on Animals (CPCSEA), with parliamentarian and animal advocate Maneka Gandhi as the chairperson, adopted two resolutions related to animal experimentation. The first called for a ban on all experimentation on animals in secondary schools. The second resolution called for the banning of all use of animals for cosmetics testing. The decades long struggle to bring about this ban is based on the fact that while medical experimentation, which is equally cruel, may be believed to save human lives (a point that is contested by animal advocates), no such argument can be made on behalf of cosmetics. Cosmetics are not a life or death issue for humans, and not wearing cosmetics will not kill any of us. So a ban on cosmetics testing is a good place to start, and offers a toehold in the fight against all testing on animals. Top photo: Sharon St Joan / A wild macaque at Pavupatthu sacred grove. / Wikimedia Commons / Three guinea pigs in captivity. Third photo: Ksd5 / “This file is made available under the Creative Commons CC0 1.0 Universal Public Domain Dedication.” / Wikimedia commons. / A baby rabbit. 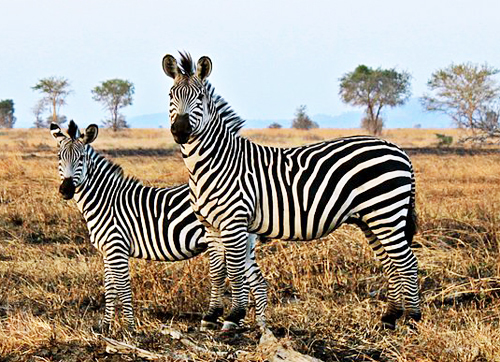 These are wild zebras in Tanzania, not zebras in the Giza Zoo. Note: The email address given below does not work, though it was given on an official site. If you can provide an email address for the Prime Minister’s office, or any relevant minister, that would be helpful. If tear gas and other violent measures are used near the Giza Zoo, they will result in suffering and death to the animals there. Two years ago the use of tear gas near the Giza Zoo resulted in the deaths of zebras and some other animals. More recently, when helicopters and F-16’s were flown in the airspace over the zoo, this caused the panic of all the Giza Zoo animals and the death of one of the chimps and extreme suffering to the giraffes and other animals. Please take every possible measure to ensure that no tear gas or any other violent crowd control measures are used anywhere in the vicinity of the Giza Zoo. Human beings are responsible for their whereabouts and can move to other locations, but the animals of the Giza Zoo cannot escape. Causing death and suffering to them is inhumane. The Egyptian Government is under an obligation to protect the well being of the animals. Photo: Sajjad Fazel / Wikimedia Commons / Creative Commons Attribution-Share Alike 3.0 Unported / two Zebras in Mikumi National Park, Tanzania.